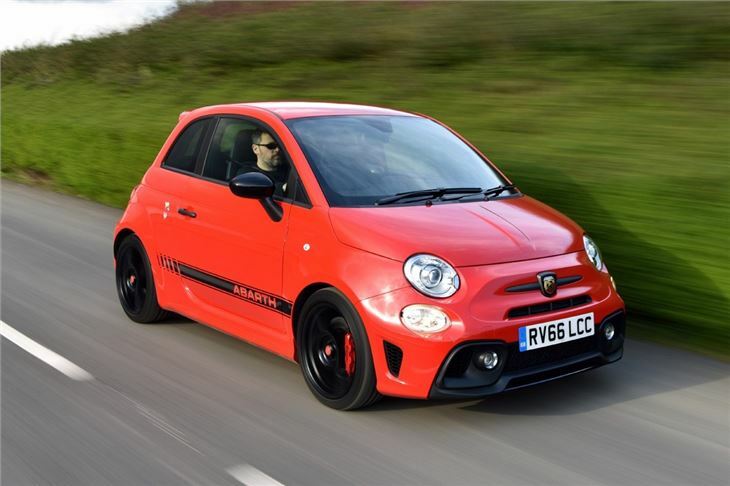 Transforms the Fiat 500 into an eager little sportscar with great handling and steering feel. Starting to feel its age. In the hands of Abarth, Fiat's in house tuning arm, the cute Fiat 500 has been turned into a storming little hot hatch with the requisite sporty looks and more power. 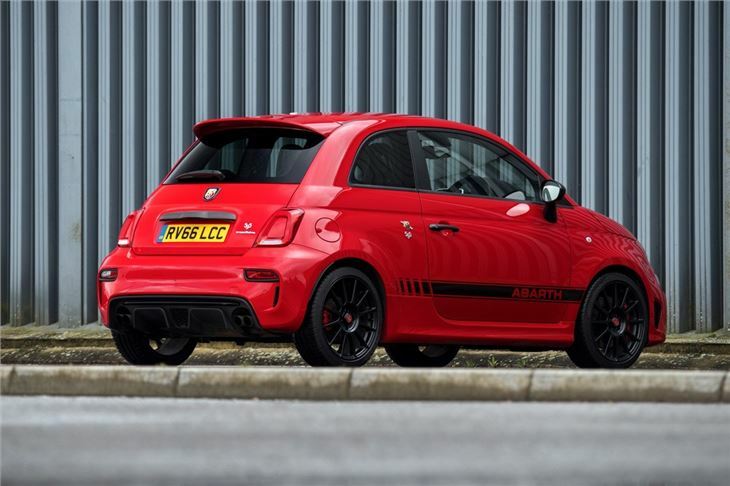 Fitted with a 1.4-litre turbocharged petrol engine developing 135PS, the light weight Abarth 500 is good for a 0-62mph time of 7.9 seconds. 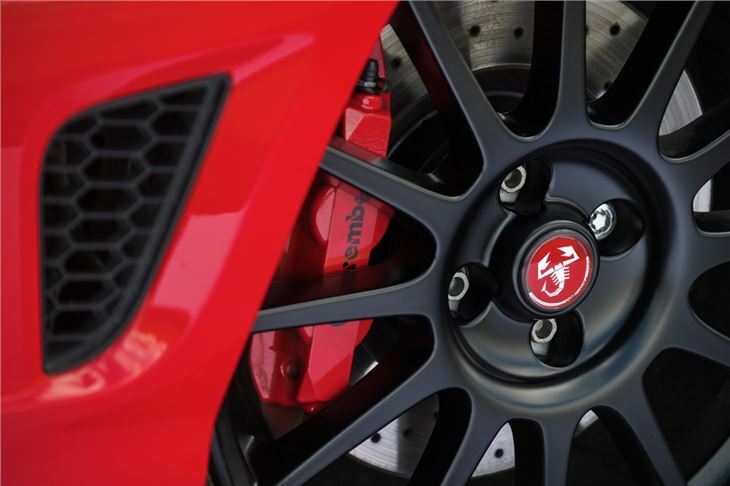 That may not sound that quick compared to other hot hatches, but the Abarth is more than just sheer power. Thanks to its short wheelbase, direct steering and sports suspension, it has an old school hot hatch feel with a buzzy nature and sharp handling. It's not a car for comfort, but it's great fun to drive and looks the part too. 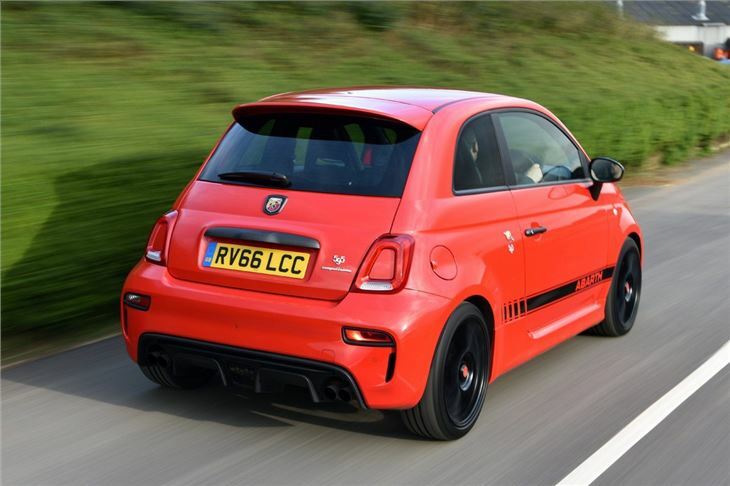 While the standard 500 is fairly elegant, the Abarth version adds a beefy bodykit with larger bumpers complete with a big front air intake, a rear diffuser amd dual exhausts. There's also a choice of 16-inch and 17-inch alloy wheels. 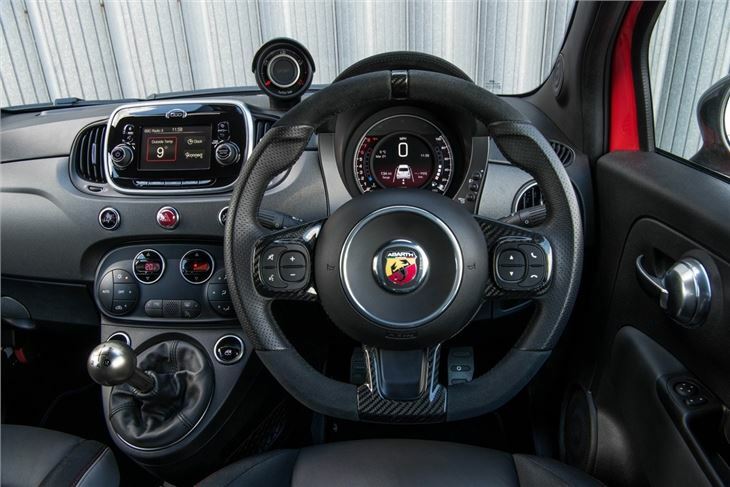 Along with the special Abarth badging, which replaces the regular Fiat branding, the Abarth 500 also gets special touches inside, including sports seats with red stitching, a leather sports steering wheel and special instrumentation with a turbo pressure gauge. 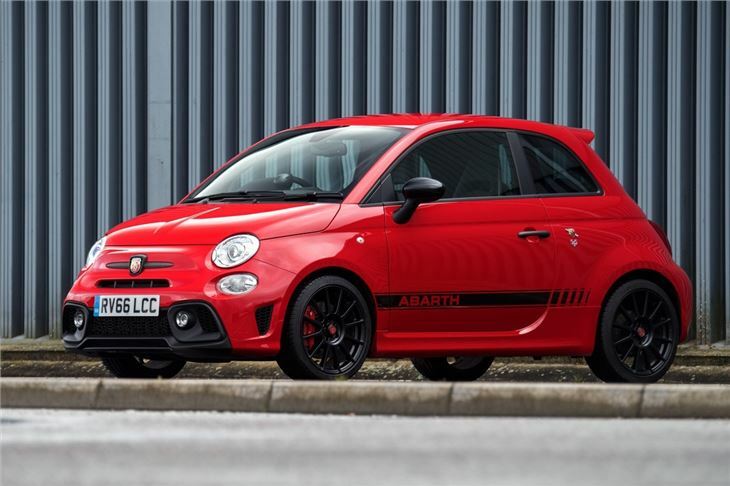 Early Abarth 500 models were available with the £2500 optional esseesse kit which got stiffer springs, special 17-inch alloys, upgraded brakes and - most crucially - more power with the 1.4 engine boosted to 160PS. 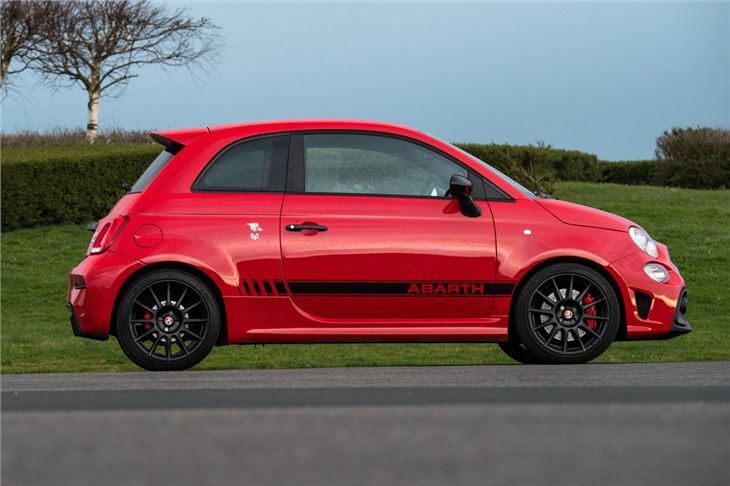 In 2012 the range was overhauled with the new Abarth 595 Turismo and the 595 Competizione versions added. These get the more powerful 160PS version of the 500 engine along with a host of extras. Absolutely Great Fun! Rarer and Better looking than a Fiesta ST! Follows in the footsteps of its forbears.